The Lighthouse engages its clients in a holistic manner and in a culturally sensitive way. We recognize the importance of addressing physical, emotional, social and spiritual needs in order for our clients to realize a full-some sense of wellbeing. We focus on the immediate needs of our clients, and we also work proactively to empower our clients by enabling life-learning skills. We recognize the factors that contribute to an individual’s current circumstances and prospective future, such as social conditions, personal history, family dynamics, access or barriers to community supports, cultural traditions and the individual’s own hopes, goals and dreams. Like the spokes on a wheel, these various factors contribute to the whole person and his or her condition at any given time. 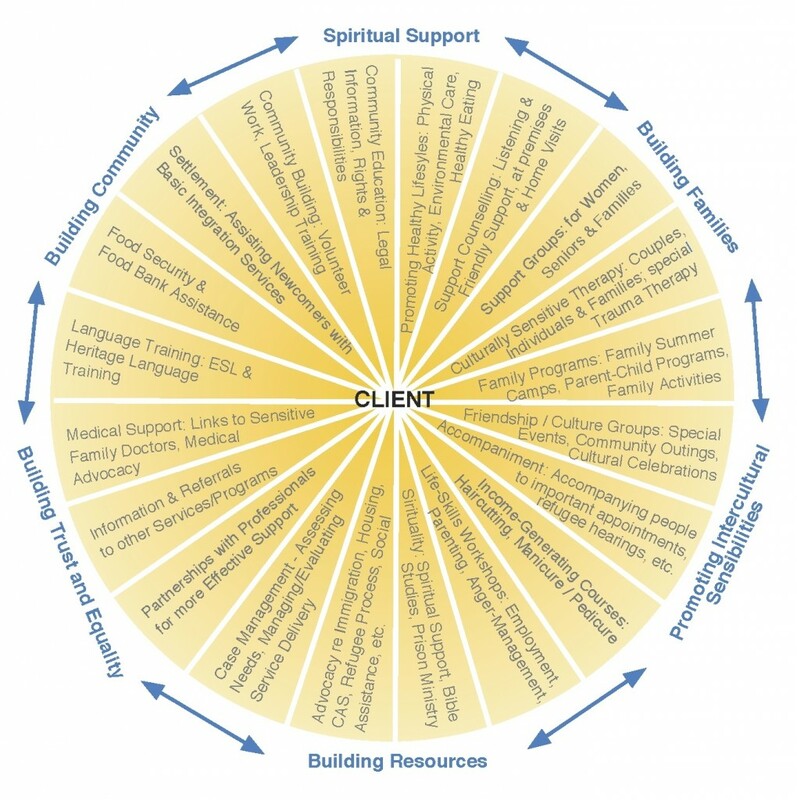 At The Lighthouse, we have developed a variety of services and programs which seek to address as many of these “spokes” as possible, recognizing that all the “spokes” are relevant to the physical and emotional wellbeing of our clients.